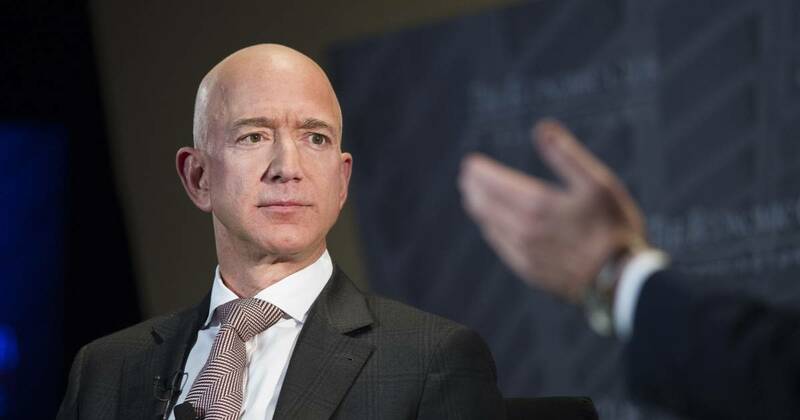 After more than a year of building up anticipation for a new headquarters and the economic benefits that would follow, Amazon is coming under scrutiny for reports that the company will be splitting its new offices between New York and Washington. The surprise twist to the business and technology world’s favorite guessing game has been met with criticism by people who feel duped. On Monday, NBC News reported that Amazon is planning to split HQ2 between the two cities, according to a personal familiar with the matter who was not authorized to speak publicly. The split was first reported by the Wall Street Journal. “Amazon extracting highly favorable terms, only to halve its promise and expect those same terms, is an exercise of bargaining power that will be familiar to many of the millions of merchants reliant on Amazon’s platform,” tweeted Lina Khan, a senior fellow with the Open Markets Institute. Amazon set off a bidding war last year when it announced a quest to find an “equal” to its Seattle campus, with 238 cities vying for Amazon’s “HQ2” by offering tax incentives and staging publicity stunts. One Arizona economic group attempted to send a giant cactus to Seattle, while the mayor of Kansas City reviewed 1,000 items on Amazon’s website. The announcement generated countless headlines from technology reporters, examining everything from the case against having Amazon HQ2 coming to town to the most likely contenders on a shortlist of 20 cities that was released in January and the “PR genius” of the guessing game. “What a farce,” wrote David Streitfeld in The New York Times. “The real HQ2 was the dignity we lost along the way,” wrote Henry Grabar at Slate. “This entire charade was an exercise in corporate leverage,” tweeted Mike Isaac, a technology journalist at The New York Times. Amazon has not yet publicly announced a decision, but a report from the Times said Amazon had been zeroing in on the New York City area and Northern Virginia. New York Governor Andrew Cuomo, told reporters on Monday that he would be willing to change his name to “Amazon Cuomo” if New York won the new headquarters. The selection of New York and Washington also generated criticism. “Amazon could have really changed an American city’s whole trajectory so looks like they went with… New York and DC,” tweeted Meredith Haggerty, a senior editor at Vox Media.